St. Albans, Queens, NY (December 27, 2018) – A devastating fire broke out at an apartment complex on Wednesday night, December 26, that tragically claimed the life of a 16-year-old girl and injured four other people. The fire was reported to have started shortly after 8:30 p.m. in an apartment on the second floor of the complex. Firefighters and emergency medical personnel were immediately called to the scene located on Merrick Boulevard near Ursina Road. Witnesses stated that they could smell smoke and hear people screaming in the hallway during the incident. According to authorities, a 16-year-old girl, identified as Lamonies Smith, sadly suffered fatal injuries and was reported to have died at the scene. The victim’s 56-year-old mother, as well as a 76-year-old neighbor, were hospitalized with injuries that have been classified as serious. Two firefighters were also stated to have sustained at least minor injuries in the blaze. The cause of the fire is under investigation at this time. No further information has been provided. We would first like to offer our sincere sympathies and deep condolences to the family members and other loved ones of Lamonies Smith. We would also like to extend our thoughts and prayers to each of the four injured victims. Fires in New York commonly prove to be fatal or critically injurious due to the intense nature of such an event. Following an injury or the sudden loss of a loved one, it is essential to know that you may have the right to seek compensation, especially if the incident was due to another party’s reckless or criminal behavior. At Hach & Rose, our New York accident attorneys are devoted to helping those who have been affected by the actions of a negligent party. 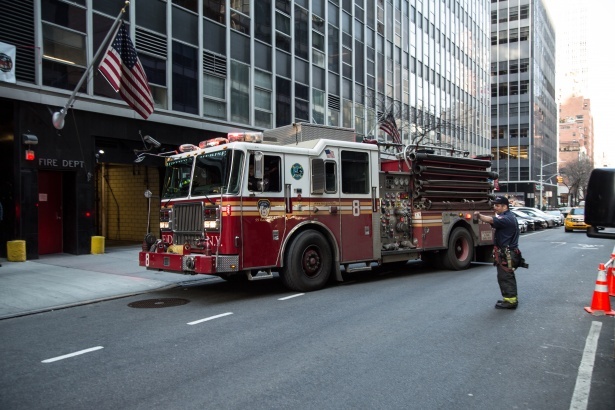 If you have lost a loved one or suffered injuries in a New York fire or explosion, call 212-779-0057 and let us put our experience to work for you today.